Have you got the appetite for a buffet but a shoestring budget? 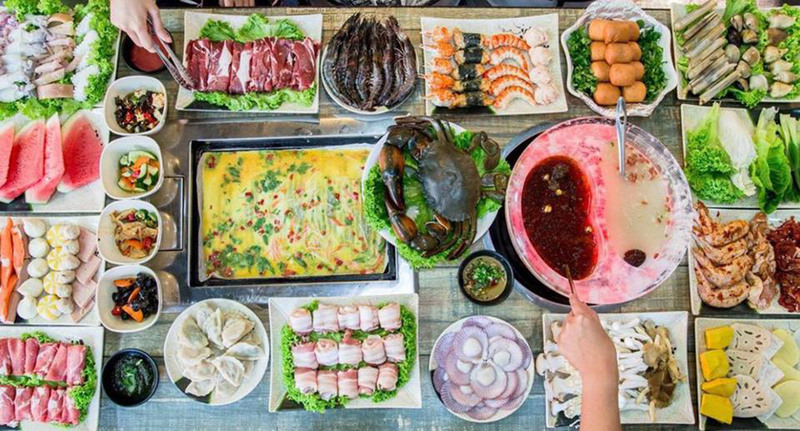 With a variety of different foods to cater to your mood, restaurants in Singapore are challenging the norm of the vegas-style buffet. Take a look at our selection of affordable buffets under $25! 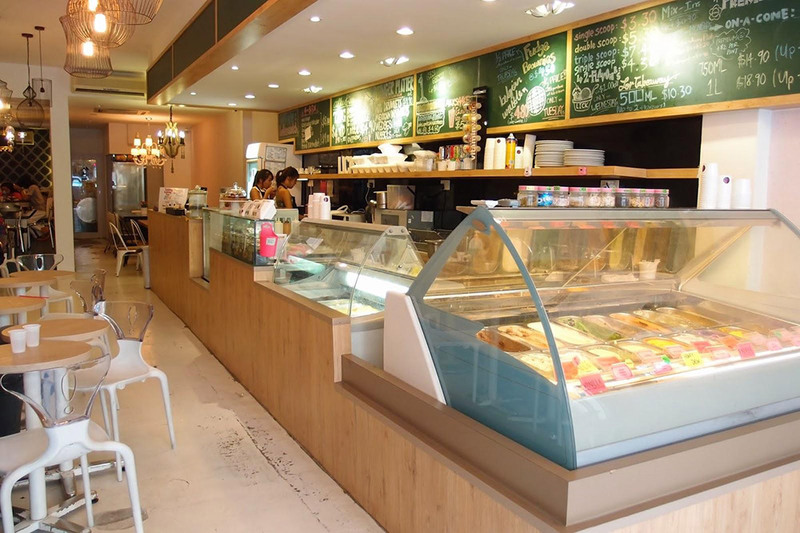 Little Ice Cream Kafe (LICK) is a hidden gem in the world of ice cream cafes. Their premium homemade ice creams are made daily in-house, hand-churned from fresh ingredients. LICK makes over 40 different flavours of ice cream, of which at least 25 flavours are on display in the shop at any one time! Must-try flavours include toffee almond nut latte and tequila rose. But the star of the attraction is their $12 TGIF buffets, where you get free-flow ice cream, mix-ins (toppings), and waffles. They have 2 sessions every Friday at 2-4pm and 6-8pm. 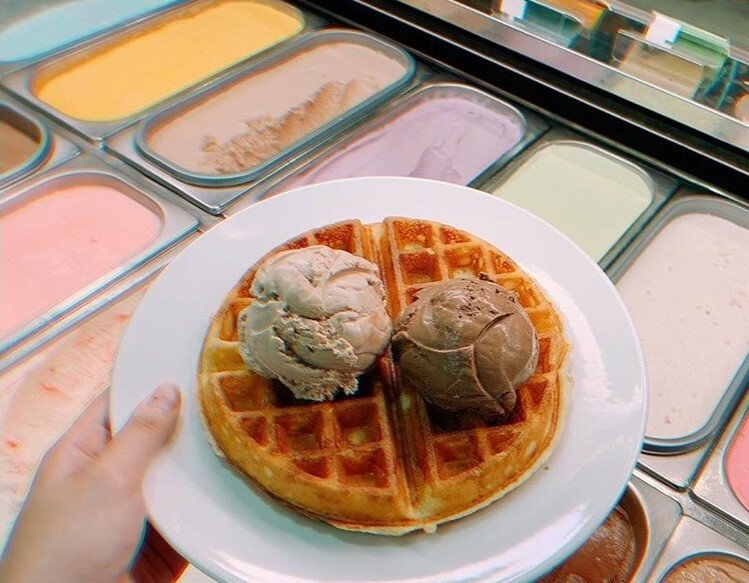 Drop by to feed your ice cream cravings! Kiseki offers premium Japanese dishes like grilled salmon head and crab claws. With a menu on constant rotation based on seasonal produce and demand, every visit to Kiseki is a surprise! 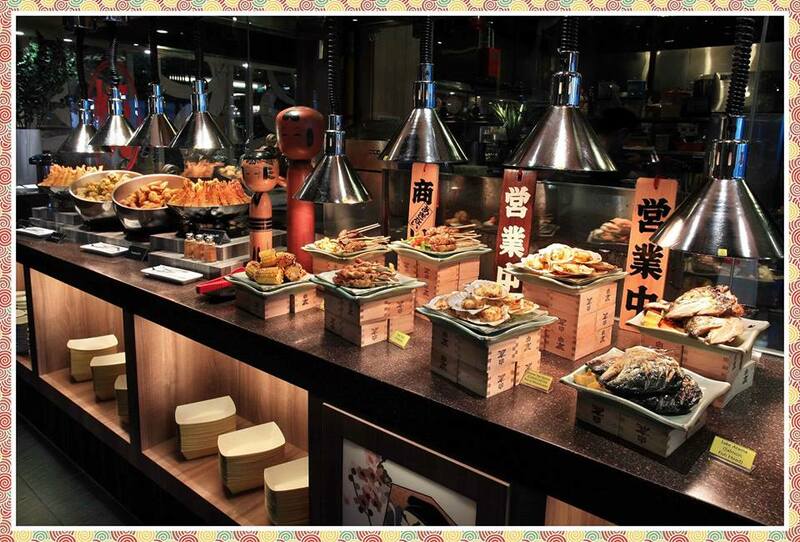 Their weekday lunch buffet is a steal at $22.80, offering dessert to top off a filling meal. Their specialty is their endless supply of of fresh seafood, the cult favourite being salmon sashimi. We also recommend trying out their grilled selection of various meats. A hot destination located right at the heart of town, Kiseki is a popular restaurant for those looking for an indulgent meal. Remember to reserve at least 4 hours in advance or call in to check seat availability. Take note that they close in the late afternoon to prepare the dinner menu! 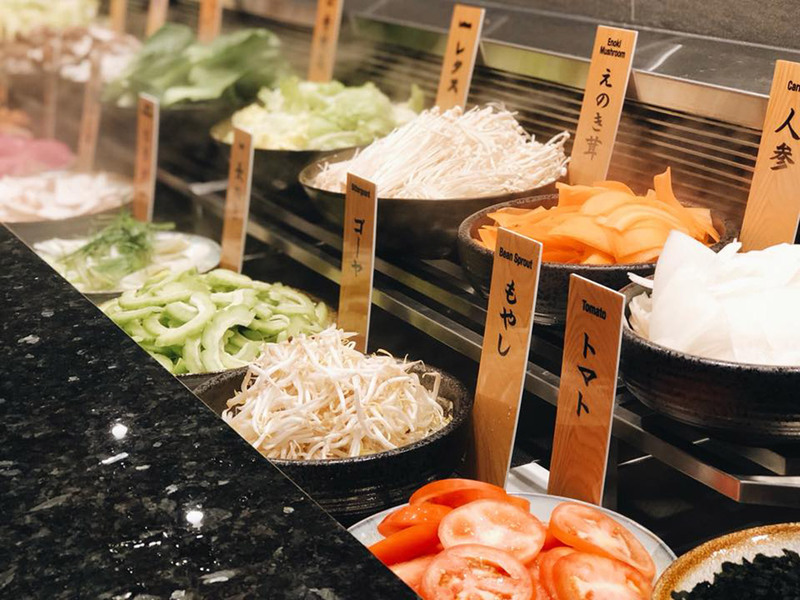 Offering the freshest of vegetables and meats, Shabu Sai is a traditional Japanese steamboat restaurant with a wide range of menu items. Every month, they offer a special flavour of soup broth; this month, it’s the Sauerkraut Tori Paitan Soup, also known as the Suan Cai Ji Tang (酸菜炖鸡汤). You can order a dual soup pot and customise your dipping sauce to go along with your food. 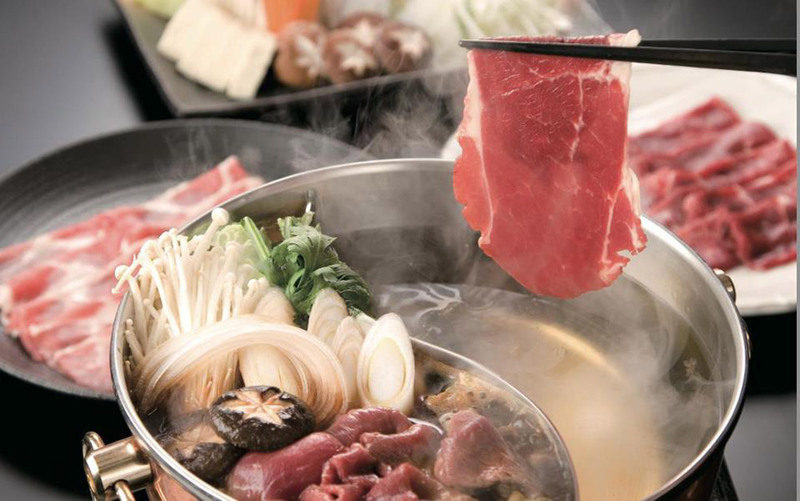 Shabu Sai serves 3 kinds of meat: U.S. Beef, South American Pork and Brazilian Chicken. Try ordering 3 trays of each to start off the dinner. We recommend the ponzu sauce with a bit of ichimi togarashi powder for the dipping sauce. Top up for the dessert and drinks bar to end off the meal on a high note! Make sure to call in to reserve a table as they can get crowded during the weekends. 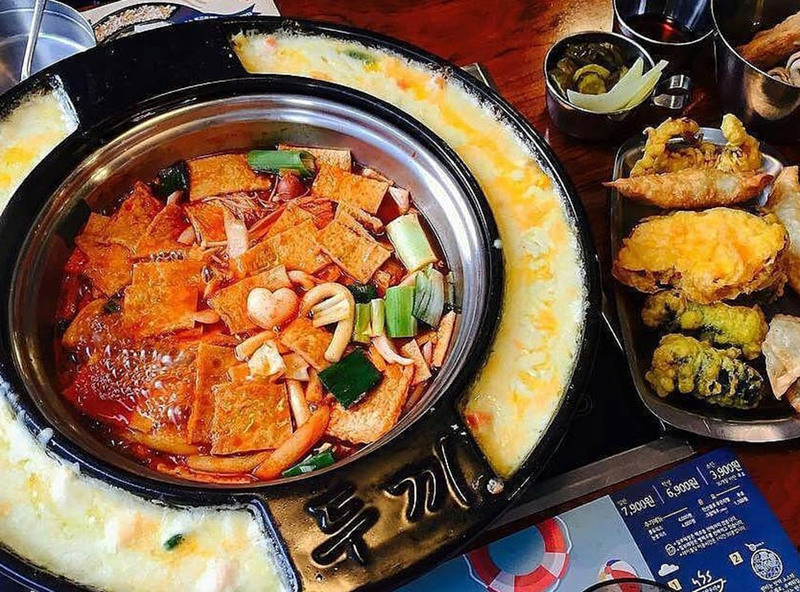 The first korean tteokbokki buffet in Singapore, Dooki has a mouth watering buffet that offers 7 different sauces for you to customise the soup base or fried rice with. There are 2 components to the meal. 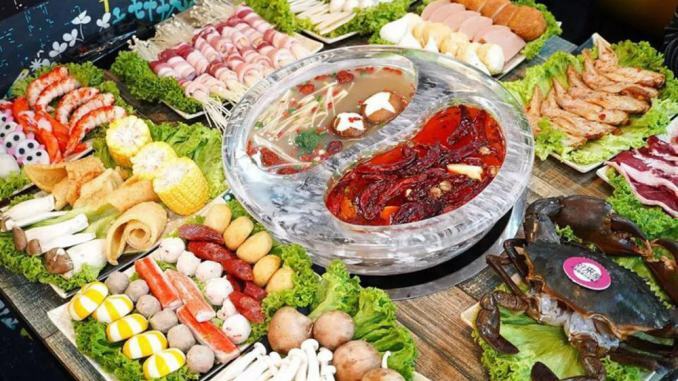 The first part starts off with a regular hotpot and an assortment of tteok (rice cake), and a fried food bar. Once you’re done, using the leftover sauce, it transitions to a fried rice pan or alternatively, a korean instant noodle fest! Top up for the mozzarella cheese ring to dip your fishcake or ricecake in. The adult buffet price is at an unbeatable $18.80++! Drop by dookki the next time you feel like stuffing yourself. 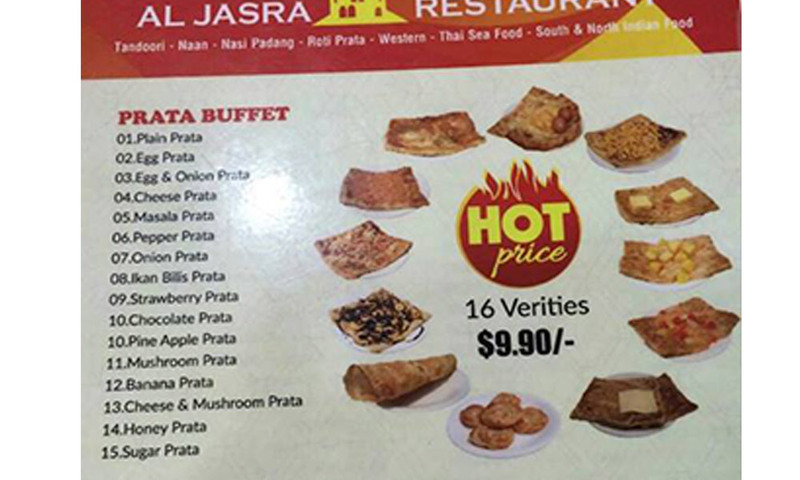 The most affordable of the bunch is none other than Al Jasra’s $7.9 prata buffet. Offering both sweet and salty options for the indecisive, there’s something for everyone! Interesting pratas include fresh banana prata and pineapple prata. We recommend getting the cheese and mushroom prata to start the meal off with. Don’t worry about the quality of the prata as orders are fresh off the griddle to ensure maximum crispiness. 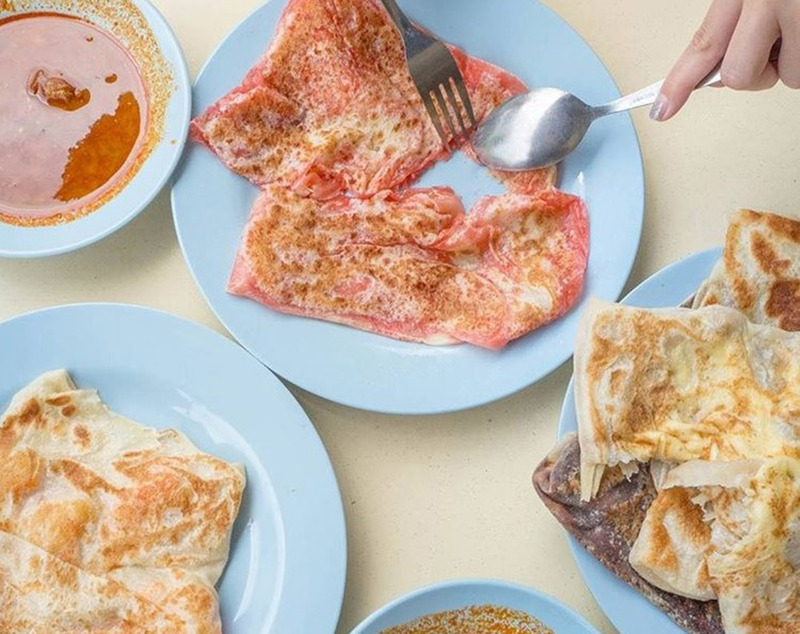 You can order up to a maximum of 16 pratas per pax, averaging out to $0.50 per prata! Try to drop by on weekdays as it can get really crowded on weekends. Starting at $16.80++, Hao Lai Wu offers a steamboat and bbq combo at a great price! We recommend getting the dual soup pot and picking a non-spicy soup option along with the fan favorite mala soup base; you can even choose the level of spiciness. 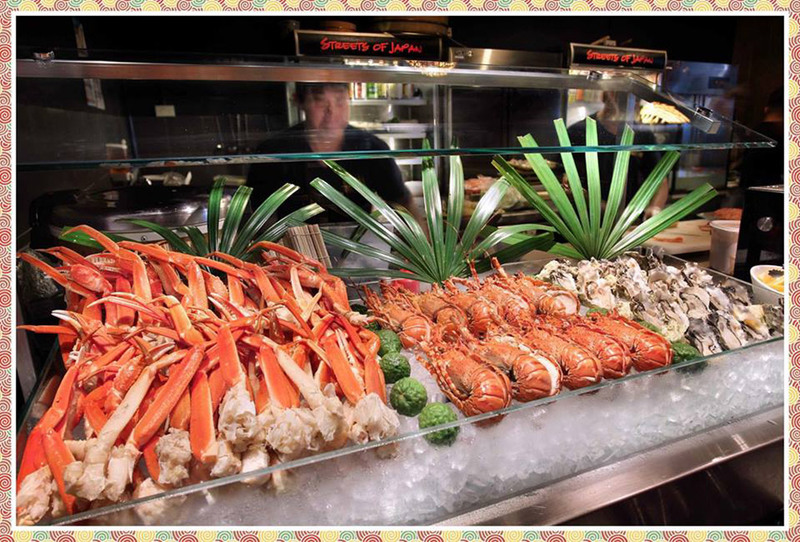 There is non-marinated and marinated meat, as well as fresh seafood to complete your steamboat with! Pair it with your own customised dipping sauce, which you can mix from their wide selection. We recommend getting their signature eggroll (as pictured), which is available upon request and is unlike any other we’ve tried before. There’s free flow mantou to wrap the meat in and also dumplings to complement your steamboat. Drop by Hao Lai Wu the next time you’re in Chinatown! 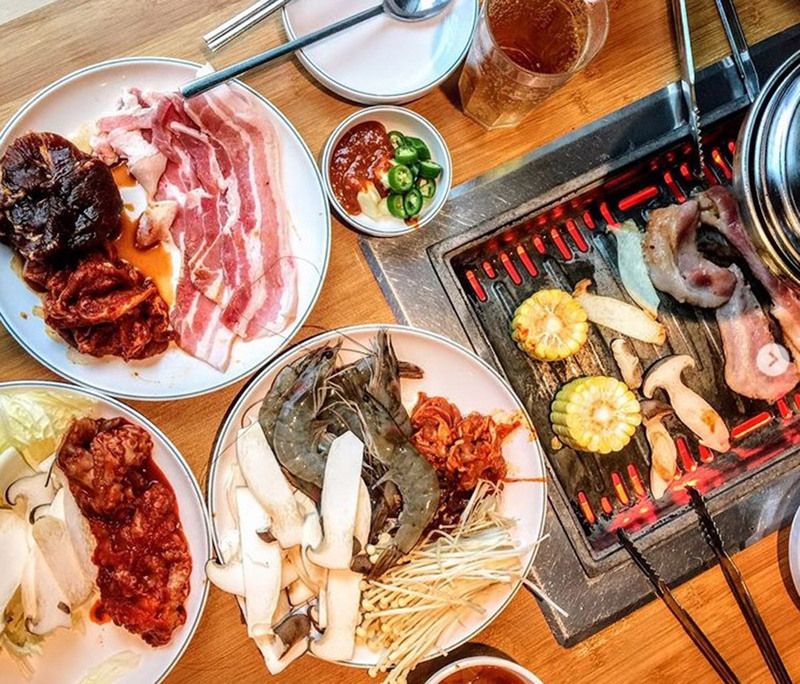 With 10 outlets across Singapore, Daessiksin is a immensely popular korean bbq joint. Made and curated by Korean chefs, it stays true to its korean roots with different cuts of bulgogi and pork! You can choose from a wide variety of 10 to 12 different types of signature marinated meats, fresh ingredients and a range of Korean delicacies We recommend starting off with the thinly sliced rolled up cuts of beef–they cook fast and you can start chomping down right away! Top up for an extra bowl of cheese to dip your meat and other ingredients in! The bossam and the pancakes are also fan favourites, which can help you take a break from the barbequed food without overly stuffing you. Drop by the nearest branch to check daessiksin out for yourself! Why Is Singapore’s GIC Broadening Its Investment Plans In China?